Honeywell sponsored 292 from 41 countries and 27 states to participate in the HCLA at the USSRC. Photo courtesy of HCLA. Two Washington students recently participated in the Honeywell Leadership Challenge Academy (HCLA) at the U.S. Space and Rocket Center (USSRC) in Huntsville, Ala. The week-long program encourage students to pursue STEM careers through real-world, hands-on challenges in coding, computer sciences and astronautics. Students ages 16 and 18 develop STEM leadership skills through various team building challenges including building, coding and testing rockets, simulated astronaut training including shuttle missions and a moonwalk. Students also use computational thinking and computer science to increase their digital skills. Atharva Ladha, a junior at Redmond High School, has always been interested in aerospace engineering. Chloe Fong, a junior at Bellevue High School, has also been interested in STEM fields from an early age. Her dad also works for Honeywell. According to Fong, the application process was lengthy and involved, but she said she was excited to learn she had been accepted to the program. 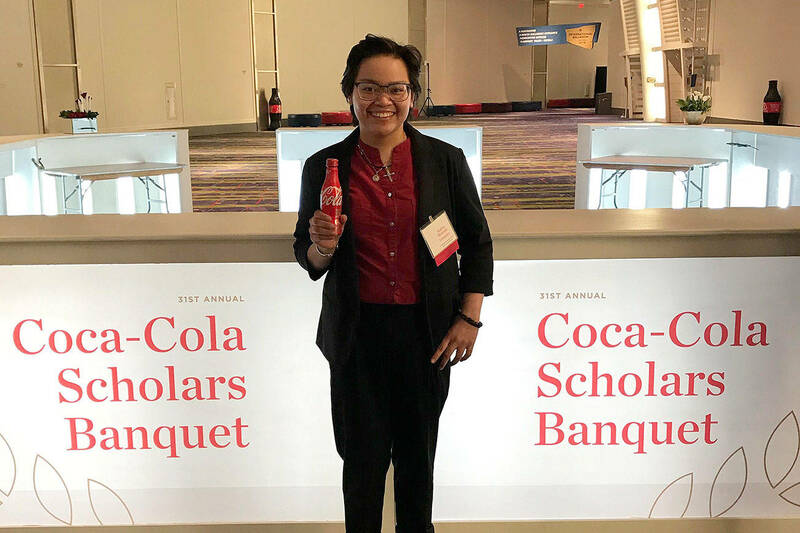 “While I never considered aerospace engineering as a possible career, I was excited to go and learn more about the various STEM fields with others,” she said. During the week-long camp, Fong said he enjoyed the flight simulations and the team-building exercises. “One of the things we did was build rockets. We had to design a heat shield that would hold up for up to five minutes. We had to work together to come up with the best heat shield using our resources using a time limit,” she said. Aside from gaining experience in STEM, both Ladha and Fong said they enjoyed meeting other people from around the country. “This program introduced me to new people and new cultures that will influence my life,” Fong said. For Ladha, he said the program confirmed his desire to pursue a career in aerospace engineering.